Noah Joel Sarenren Bazee continues to confront a constant in his young career- injuries. The latest injury was the week 12 Bundesliga match between Borussia Mönchengladbach against Hannover. Bazee clashed with his head against Matthias Ginter’s of Gladbach in midfield. Ginter suffered orbital and jaw fracture and could not continue the match while Bazee left the pitch before the end of the first half with a brain concussion. Bazee was in a hospital in Hannover for 72 hours observation. 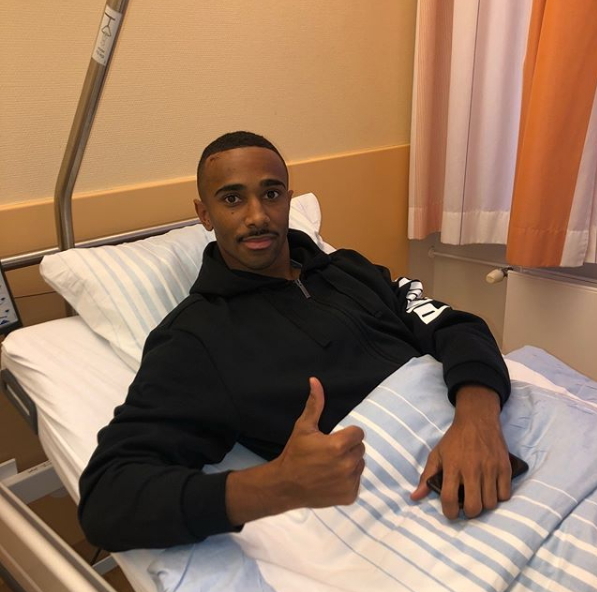 He took to social media to thank fans and well-wishers for their support and used the medium to wish Ginter a speedy recovery. Bazee has been blighted by numerous injuries that have made his dream of playing for the Super Eagles of Nigeria a mirage. Bazee has a sanguine disposition against all odds, and his comeback after the injury will make him hungry for glory. I hope he achieves his full potential.